This FREE one hour of Registered Professional Development will give you practical tools and strategies. Nicole Feledy is a practising classroom teacher and Gallup certified Strengths Coach. She can help you use your natural talents to develop strength and apply positive practices in the classroom. Learn how you can increase wellbeing and engagement among students and colleagues. During this on-line seminar, you’ll consider the use of talent based strengths in a teaching and learning environment. 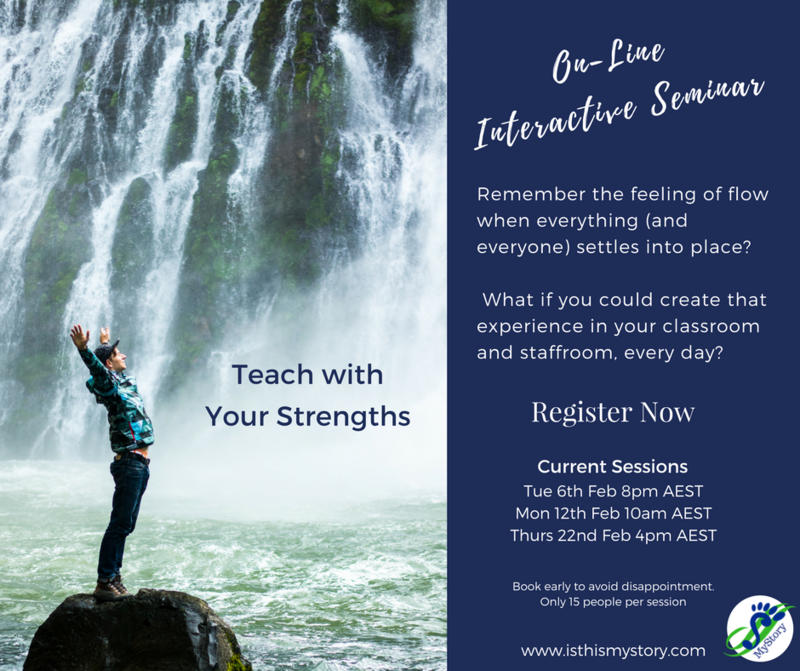 You’ll be introduced to strengths principles and develop awareness of why a positive approach in the classroom engages students and improves learning. You’ll be given strategies for spotting talents in yourself, colleagues and students. Through discussion you’ll see how teaching from your own strengths can be more effective than struggling to replicate what someone else, who has different talents, may do. This is an interactive, outcomes focused seminar that encourages involvement and sharing of ideas. Join in to boost moral and lower stress. Completing Introduction to using Talent-based Strengths in a Learning Environment will contribute to one hour of NESA registered PD addressing 6.2.2 from the Australian Professional Standards for Teachers toward maintaining Proficient Teacher Accreditation in NSW. Choose one of the times below and register through Eventbrite. We only allow 15 people per session so register now to avoid disappointment. On the day of the event you will receive a personal link to the seminar, an information package and sign on sheet to register your NESA teaching number (if applicable).